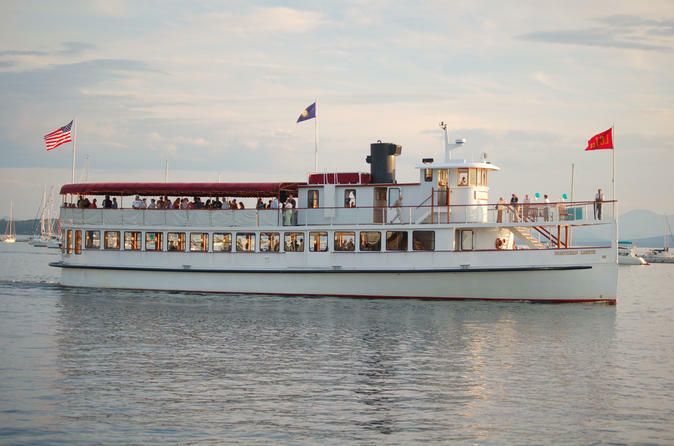 Pull out your autumn sweaters and grab a hot cider and join the captain and crew of Northern Lights for a relaxing 2-hour Boston Harbor cruise, featuring the colorful trees of fall. New England has been known for the vibrant foliage that people are drawn to every year. Step aboard Yacht Northern Lights and enjoy a gourmet picnic lunch included with each ticket. The menu includes items consisting of an assortment of sandwiches, fruit, chips and desserts. Beverages are available for purchase by credit card from the bar. This cruise is excellent for families, friends exploring the town, and folks looking for a relaxing adventure. Take in the sights from a heated main cabin, or enjoy the views from the open top-deck of the boat.